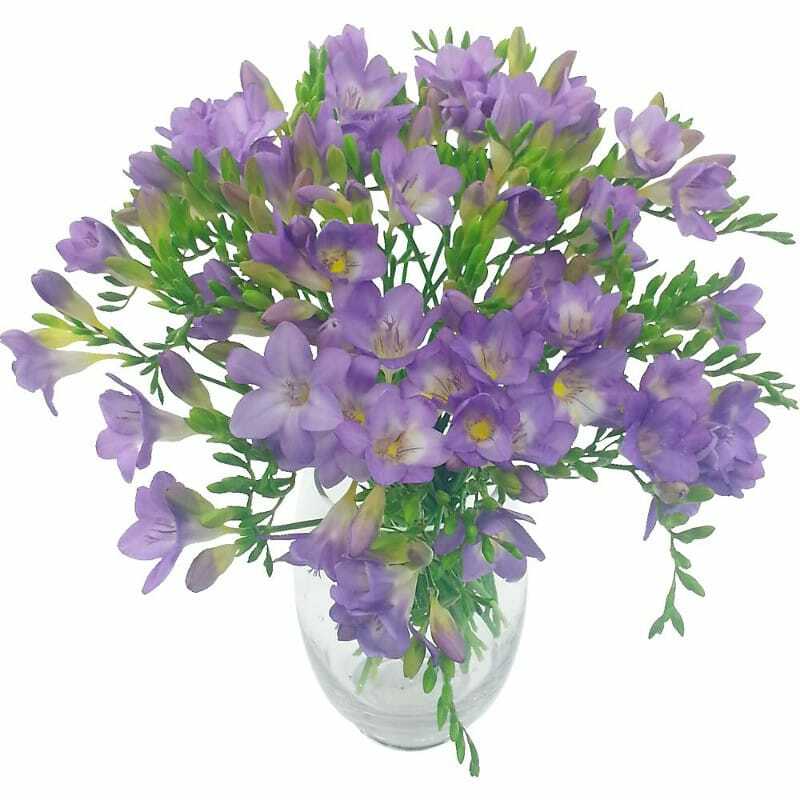 Our Lilac Charm 40 Freesia Bouquet is a peaceful arrangement of lilac freesia flowers stylishly arranged by our team of florists. These gorgeous lilac freesia flowers would make for a lovely surprise for your anniversary, birthday or for Mum on Mother's Day. Freesias are renowned for their distinctive scent, and this fun and fresh arrangement is delivered to you in bud for greater longevity. An ideal feature in your living room or around the office, these flowers are an eye catching display that will add a splash of colour to your surroundings. This bountiful and eye-catching deluxe flower bouquet is available for express delivery and will be delivered next working day as standard. The Lilac Charm 40 Freesia Bouquet comes packaged in our signature flower delivery box to ensure they reach you in utterly immaculate condition. There is also the option to include a glass vase, delicious Lily O'Brien's chocolates and a handwritten card for that special personal touch!